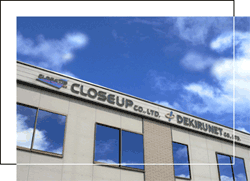 (In English) DEKIRU NET Co.,ltd. Copyright (c) CLOSEUP Co.,ltd. All Rights Reserved.